Ok, I know “the best” is purely personal, but this is the one I’ve finally settled on. The one I don’t have to pull out my notes on anymore. The one I whip up on a lazy Saturday morning. Since I love baking gluten free, this is also the one I always have ingredients on hand for! Light, crispy and that perfect fluffy texture inside. 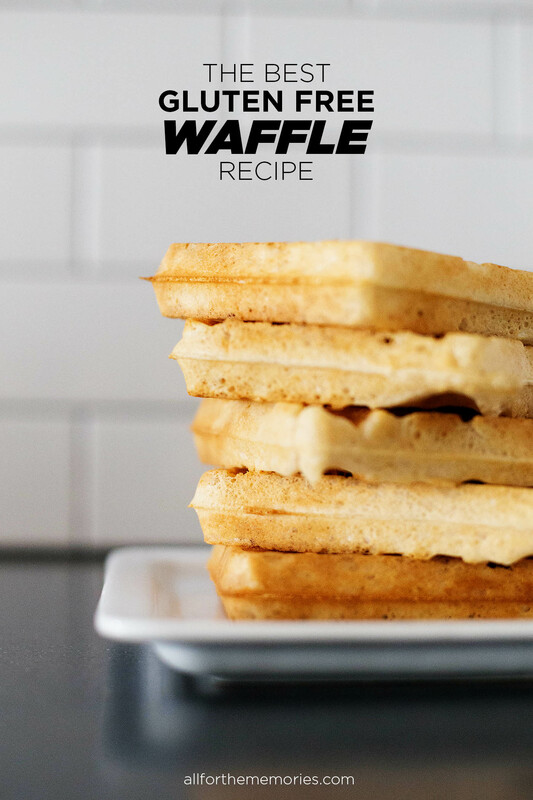 These gluten free waffles are easy to make in one bowl, so far have been easy to modify, freeze well for leftovers and are just an all around winner in my book. I can’t keep them to myself anymore. The only “downside” to these is that you have to keep several different types of gluten free flours on hand. The “plus” is that these are inexpensive flours especially if you can pick them up at an Asian market like I do! I have these on stock constantly and will be sharing some more of my favorite recipes here so you can use them up too. 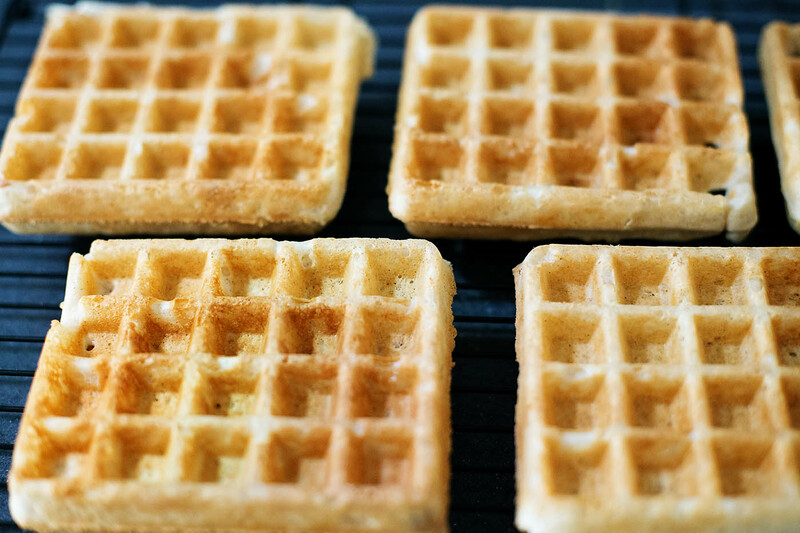 Even if you just keep them on hand for waffles it’s totally worth it. You could even just mix up the flours ahead of time and keep them in one container. 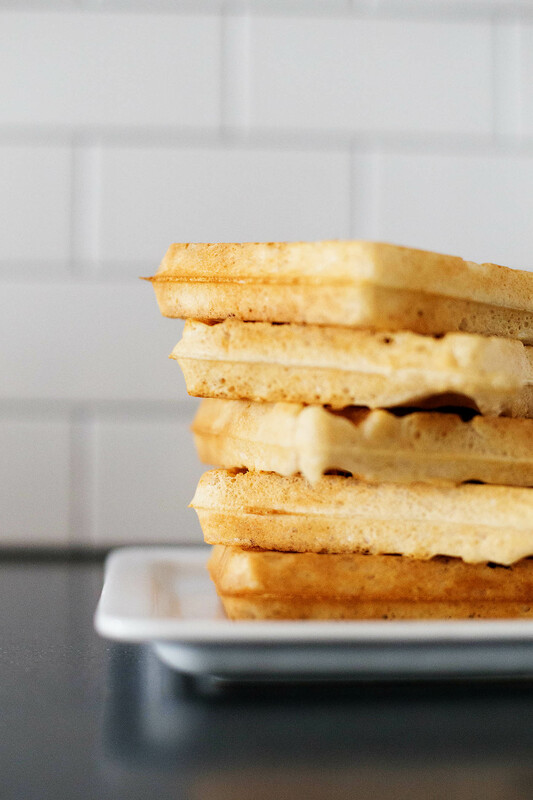 Crispy on the outside, soft on the inside - you definitely won't miss the gluten in these easy waffles! A couple tips on these. If you’re serving to a large crowd, don’t stack them up. As with any waffle, they won’t stay crispy that way. 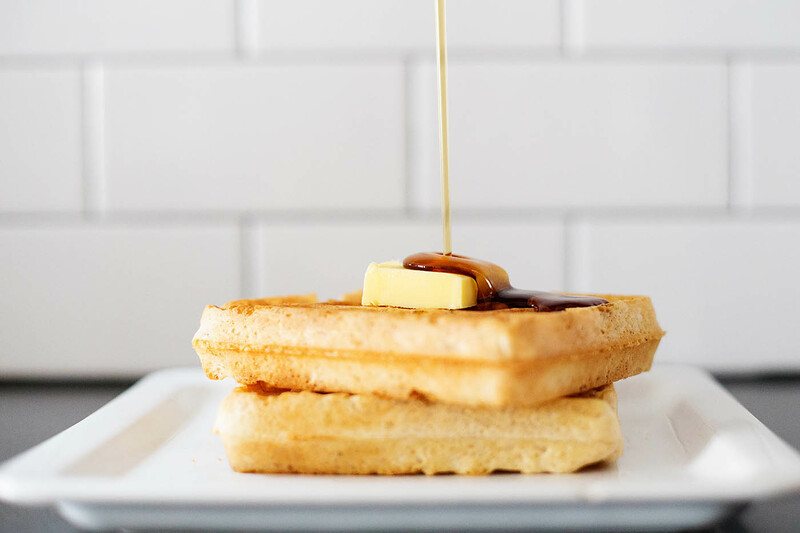 Sometimes I’ll put the oven on warm and just place waffles on the racks as I go, other times I place on a cooling rack or paper towel. As I mentioned before I have had luck making modifications substitutions with this recipe as well. Don’t have quite enough white rice flour? Use some brown rice. Need it to be diary free? Use your favorite milk substitute. Don’t have or like coconut oil? Use olive or corn. Leave out the vanilla and cinnamon if you want. I’ve done all of these and while it changes the flavor slightly, they are always still very good. Depending on your climate/altitude the batter may be a little runnier than you’re used to. Go ahead and try one waffle that way anyway. I’ve found that sometimes the batter changes consistency but the end result still ends up the same. Top with your favorite toppings or dip into some yogurt for a quick breakfast. Freeze the rest in a freezer bag and pop into the toaster like you would any toaster waffle. Let me know if you make these and how they turned out for you!